Item No. 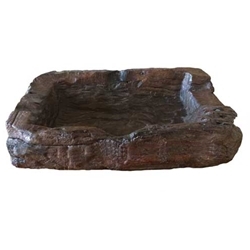 499 Primitive hand-carved Wood Trough; Thailand. A piece of sculpture or decorative centerpiece.